I’m beginning to re-think my list of Dallas’ top taco joints, thanks to Los Torres Taquería , a family-owned spot that opened in June. The restaurant specializes in the cuisine of Sinaloa state in northwest Mexico, serving barbacoa roja de chivo (goat barbacoa seasoned with chiles), birria de chivo (a cauldron of chest-warming goat meat in an orangy-red broth) and chivo tatemado (the roasted equivalent of birria cooked in a large clay pot). They’re available as platters, by the pound as well as in tacos in handmade tortillas, if requested. Request them. 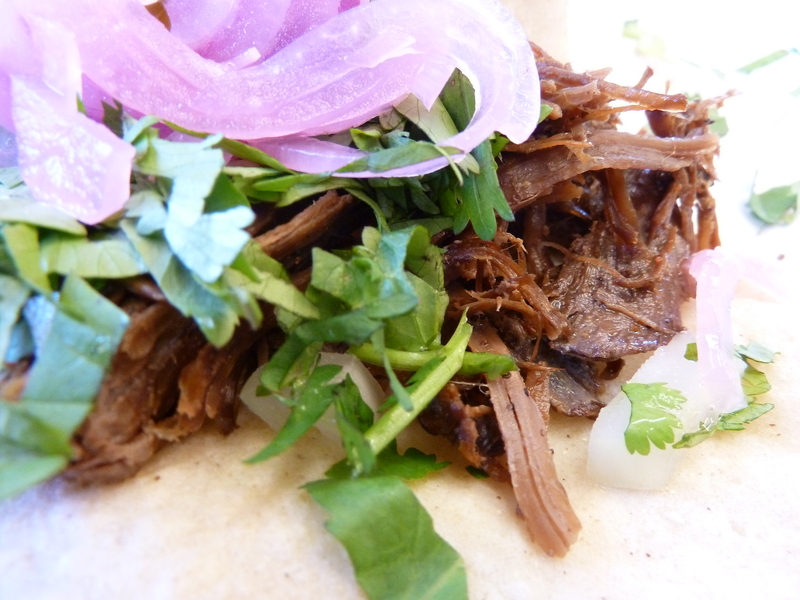 The birria can be a little dry in a taco, but when its gamey, chile-stained threads are nestled in blistered, misshapen fresh corn tortillas, forgiveness is immediate. The tatemado has a more pronounced gamey flavor. It does martial arts training on your cheeks. It’s stellar. The same goes for the wet, congealed cabeza and the carne adobada, soft, marinated pork nuggets. 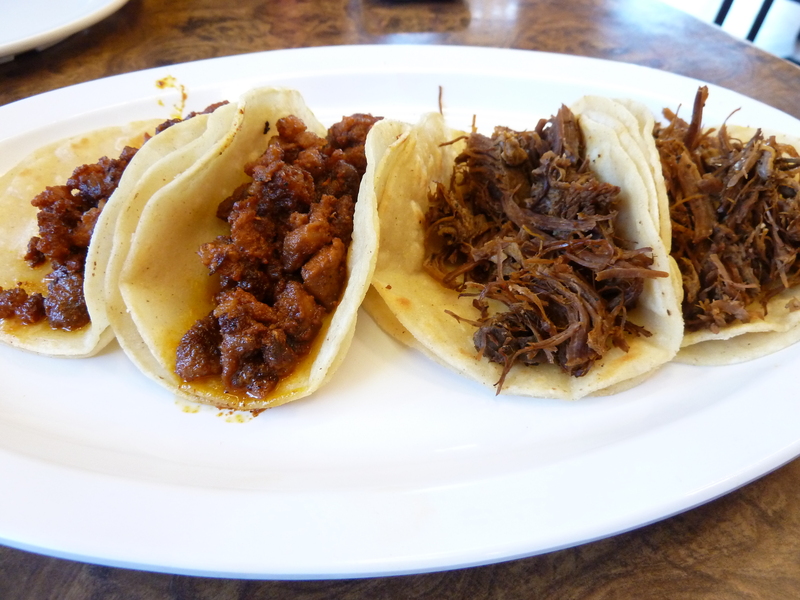 Like its sister preparations, the barbacoa here is fantastic and punctuated with earthy notes but with little of the wild characteristics of the other goat options. If there’s anything to find fault in at Los Torres, it’s the overly chewy carne asada. Good by itself. Unfortunate when consumed after the plethora of goat. Attempt a run to Mi Tierrita for its trompoburger after your time at Los Torres. That is, if you can stomach more exquisite Dallas taquería fare. yes i enjoy the tacos they are really good!!!!! 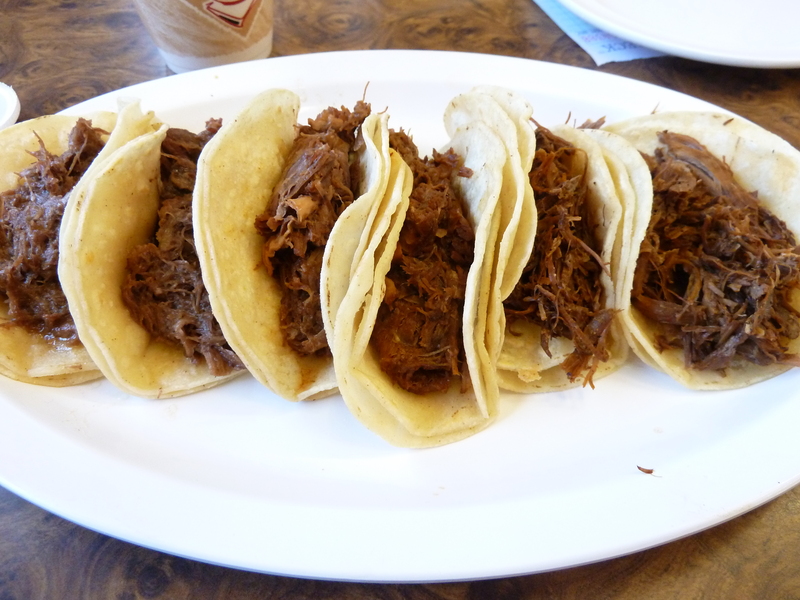 love the way you mention the chivo tatemado is great…. hey but the phone number is incorrect i try to call to make an order it did not work so i went to the place and i ask for a better number to call and they gave a card and is( 214) 946-3770. thanks!!!!! Totally, meh compared to other taco joint in Dallas. We were very disappointed in everything about this place! Five of us ate lunch here today. We were all very disappointed. Everything about this place is totally, meh!